In this chapter you will learn how to create hyperlinks in a presentation. You can read the hyperlinks in a presentation using the createHyperlink()method of the XSLFTextRun class. 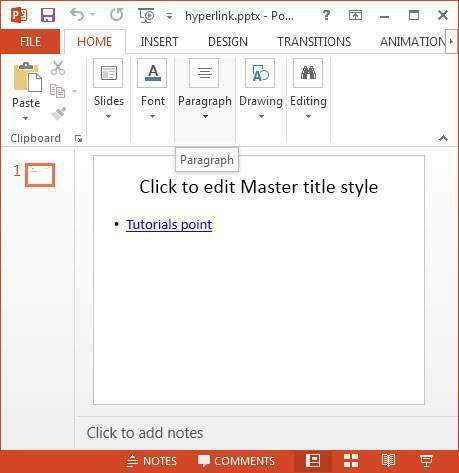 Follow the procedure given below to create a hyperlink in a presentation. Create an empty slide and create a textbox and body of the slide using body and content layout.